Follicle Stimulating Hormone (FSH) is produced by the anterior pituitary gland in the brain. It stimulates the growth and maturation of ovarian follicles in females, and controls sperm production in males. 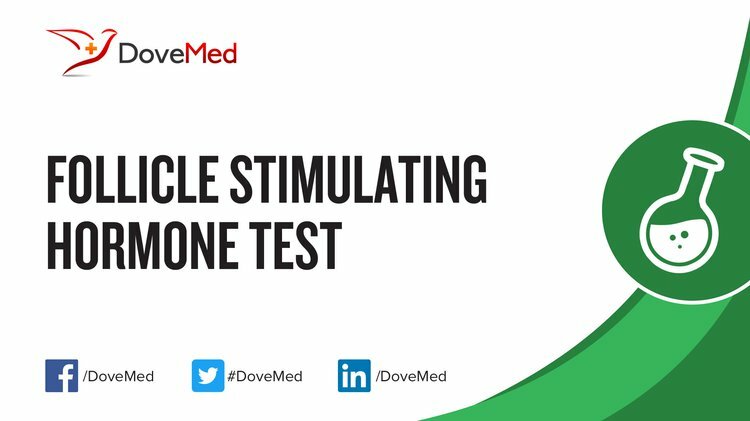 What are the Clinical Indications for performing the Follicle Stimulating Hormone (FSH) Test? How is the Specimen Collected for Follicle Stimulating Hormone (FSH) Test? Process: The sample is drawn through a needle inserted into the vein (arm). Preparation required: None. In females, FSH Test is performed during certain specific times of their menstrual cycle. What is the Significance of the Follicle Stimulating Hormone (FSH) Test Result? Primary ovarian or testicular failure, leads to increased levels of FSH, while a low level of FSH due to pituitary or hypothalamic disorders, leads to secondary ovarian or testicular failure.